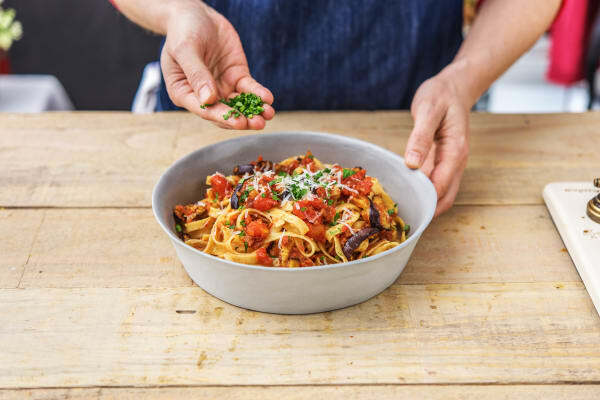 Sun-dried tomatoes really do bring a taste of sunshine to any dish you add them to. Their flavour is intense so a little goes a long way. 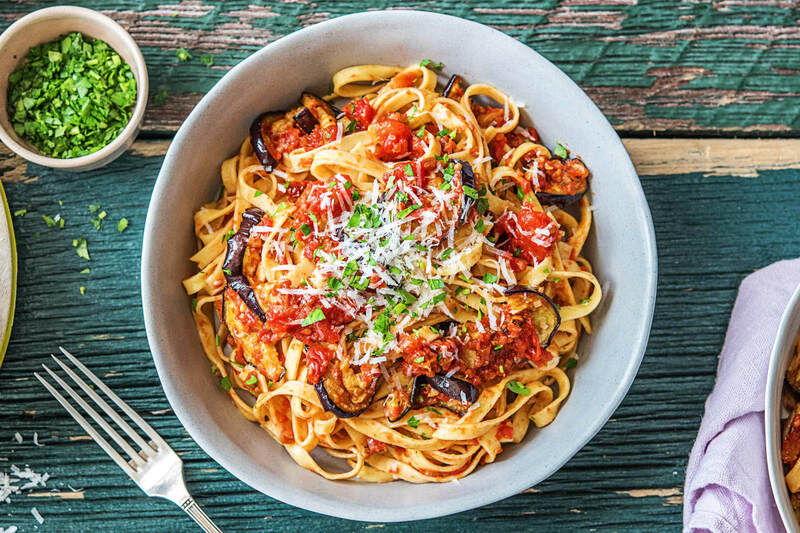 Here they combine with grilled aubergine and whole wheat tagliatelle for a plateful of rustic, summery charm. Enjoy! Preheat your grill to high and put a large saucepan of water with a pinch of salt on to boil for the pasta. Halve, peel and finely chop the shallot. Finely chop the parsley (stalks and all). Peel and grate the garlic (or use a garlic press). Finely chop the sun-dried tomatoes. 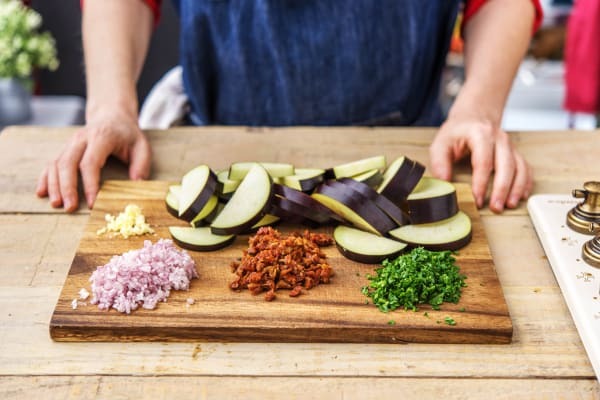 Halve the aubergine lengthways and slice into half moons. 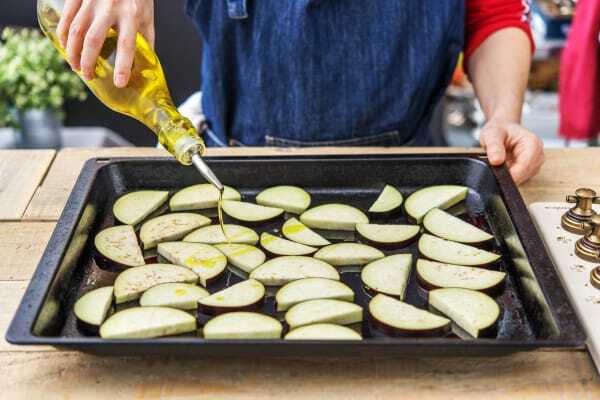 Put the aubergine on a baking try and drizzle over a little oil. Season with salt and spread out evenly. Pop under your grill and cook until soft, golden brown and crispy round the edges, 12-15 mins. Turn halfway through cooking. 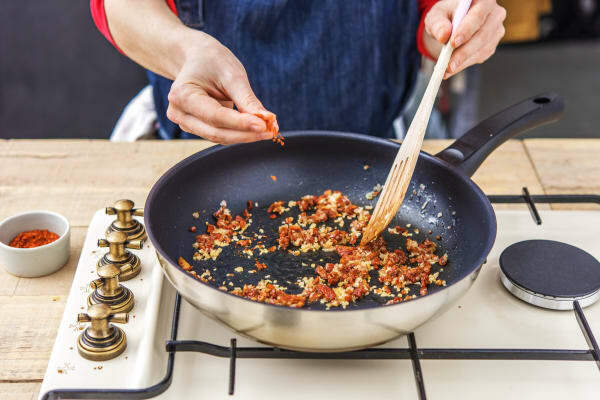 Put a splash of olive oil in a frying pan on medium heat. Add the shallot, garlic, sundried tomatoes and a pinch of chilli flakes. TIP: Some like it hot, but if that's not you, just go easy on the chilli! Cook until the shallot is soft, about 4 mins. 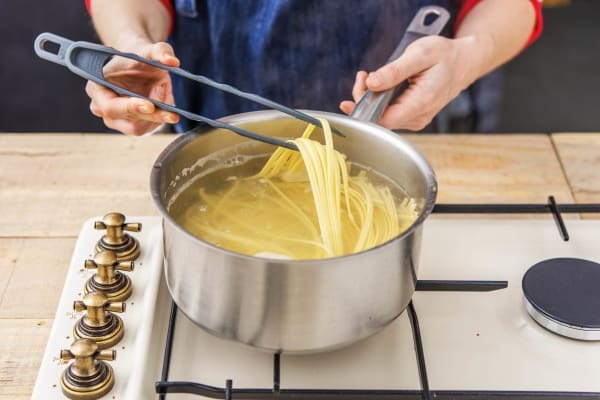 Add the tagliatelle to your pan of boiling water and cook until ‘al dente’, about 11 mins. TIP: ‘Al dente’ simply means the pasta is cooked through but has a tiny bit of firmness left in the middle. Taste it as you go to get it just right. When done, drain in a colander. Add the diced tomatoes to the garlic and shallot mixture. Season with salt and black pepper. Let the mixture simmer on medium-low heat for around 5 mins, until you have a nice thick sauce. 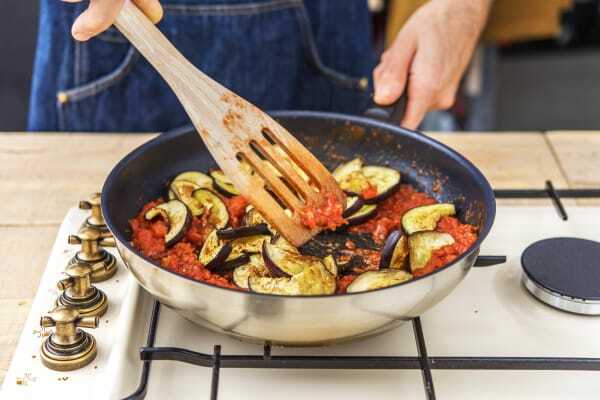 Then stir in the grilled aubergine. Combine the pasta and sauce and toss together. Taste for seasoning and add a bit more salt or black pepper if needed. Serve in bowls, sprinkled with parsley and the hard Italian cheese. Buon appetito!